Over the past month, our product team has been working to implement small changes that make your user experience smoother and even more efficient. This month, we’re rolling out a brand new navigation bar that puts your favorite Yesware features front and center. 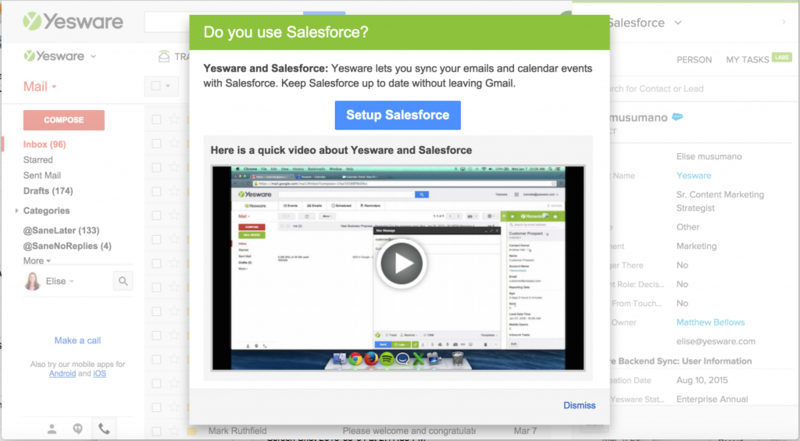 You’ll be able to access your Yesware dashboard, templates, and mail merges in just one click. Expect to see this new navigation roll out over the next two weeks. This navigation changes the location of the Mail Merge button. 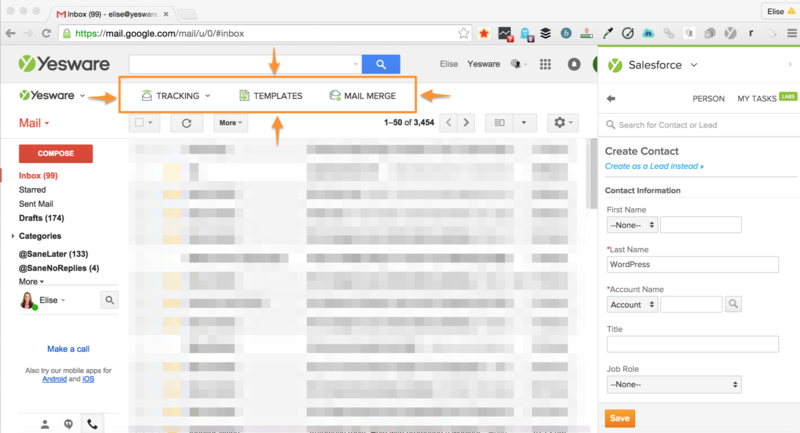 Users can now insert a template into a new email directly from the template manager. No need to open “New Email” first before inserting a template. 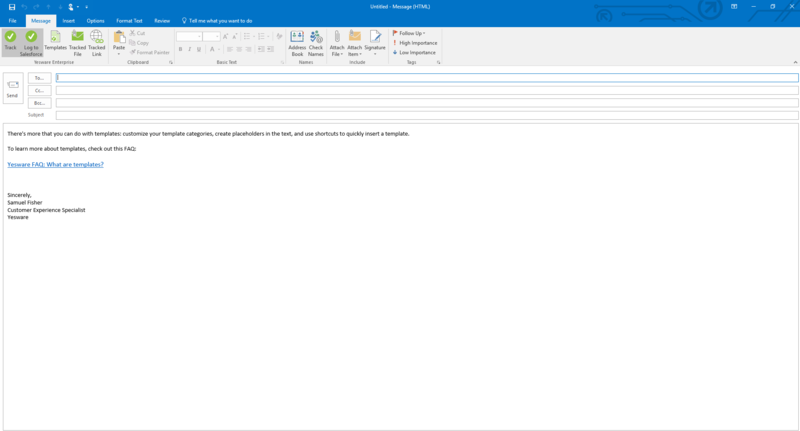 Watch as a new email opens, filled with your template. We’re constantly working to improve your experience as a Yesware user, which spans from fixing minor bugs to building new features. Take a look at all the little things we’ve shipped this month to keep you selling smarter and faster. 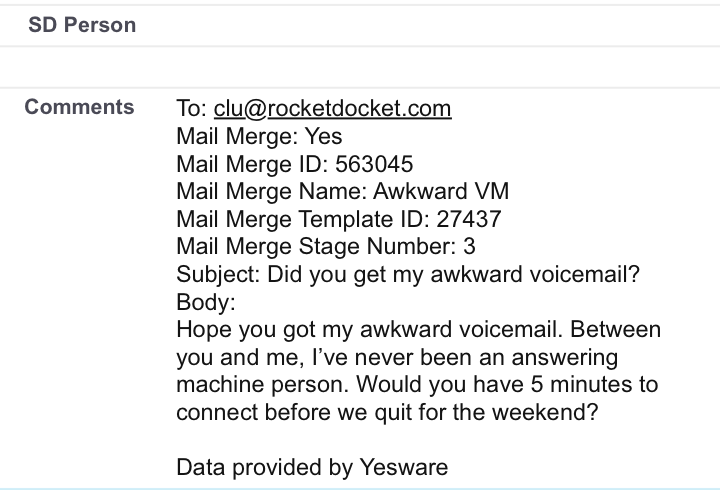 Mail Merge now syncs the name of the specific mail merge to the comments section in Salesforce, to help users tie activity data back to specific messaging. This update will roll out completely to all users within the month. 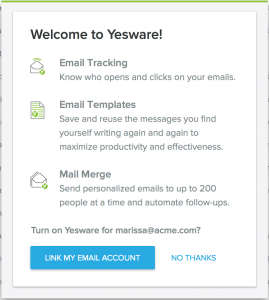 New users will now see a “Welcome to Yesware” pop-up explaining the benefits of email tracking, templates, and mail merge when they activate. Outlook users can authenticate and login to Yesware with just one click, using their Outlook.com credentials. 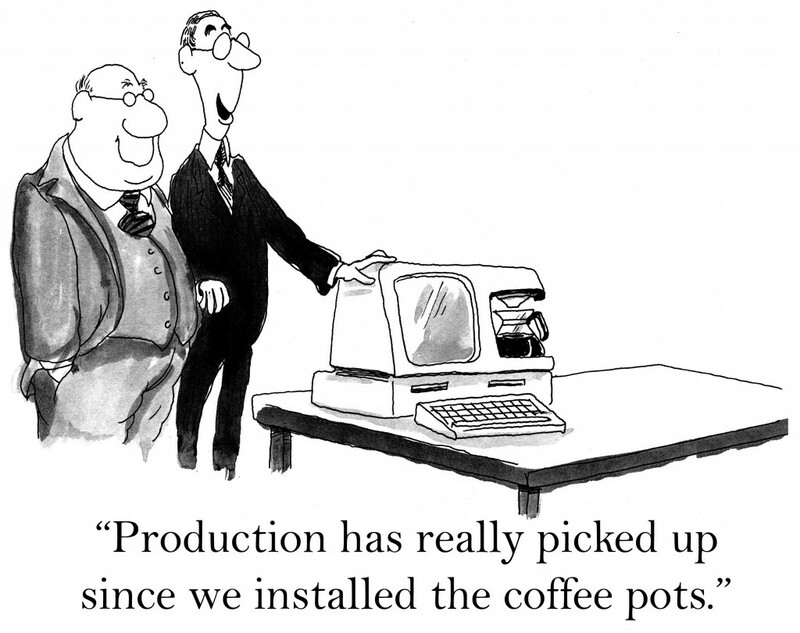 Are you new to our Templates feature? Great news–we’ve added an interactive tutorial that tells you exactly what to do each step of the way. 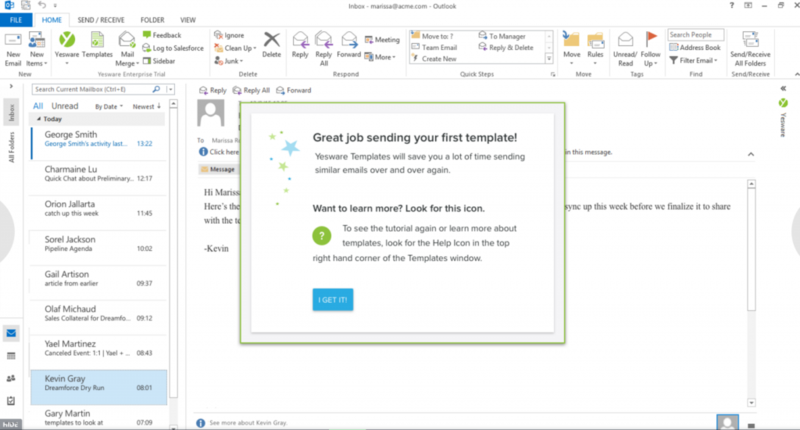 Set up, save, and send a new template in minutes; you can thank us later when you don’t have to write and re-write the same type of email for different recipients. Templates are now more intuitive (and good-looking😉) than ever before! Our designers made some minor tweaks to the UI and relocated the “Save” button to make it more visible on smaller screens.